When it comes to looking for a dentist, many people don’t even know where to start. We often tend to go to the nearest dental office to us and just stay there. However, this may not always be the best option for your specific needs. Therefore, we’ve put together a list of the top 5 tips for choosing a dentist. 2. Make an appointment for a consultation – Once you have put together a list of prospective dentists, it is a good idea to call them or visit to see about having a consultation. 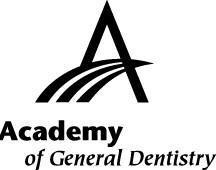 During your meeting, ask questions such as whether they are registered with any organized dentistry associations (ADA or AGD) and what procedures they complete in office. It’s never a bad idea to ask how far in advance you’ll be able to schedule appointments for cleaning and checkups. 3. Consider accessibility – A huge factor to consider when searching for a dentist is how accessible their office is. It’s a good idea to consider their location so that it’s at least close to your workplace or home. Also, take into consideration what their hours are like as this can make a huge difference if you need an office that is open late or on weekends. 4. Factor in your own insurance and dental benefits – Depending on what your dental health plan is like, this could influence which dentist you should visit since some HMOs only allow you to visit dentists that are part of their network. By visiting dentists that are part of your insurance company’s network, it can make a difference in terms of your payment plan. 5. Evaluate the dentist after your appointment – Once you have chosen a dentist, the next step will be to go in for your appointment and take notes about what the office is like. Consider things such as cleanliness, how the staff treat patients and if the office is child-friendly. If you have any questons, or would like to schedule an appointment with a leading Oxford, MA dentist, please give our office a call today at (508) 987-8125.